The Logan Acres Senior Community has been fortunate to have numerous supporters over the years who have committed time, talents, or financial contributions to our facilities. Contributions to our campus provide a vital role in our mission and provide additional resources to bolster our legacy of excellence. The Logan Acres Community Foundation raises funds and provides resources for projects and items needed to enhance the quality of life for residents of Logan Acres Senior Community. The Foundation has used monetary donations for projects such as stained glass windows for the chapel, patio furniture, therapy equipment and an aviary. The largest project to date has been the beautiful gazebo at the center of campus that is used for events, activities and even a place to take a rest during physical therapy sessions. Non-monetary donations are also accepted. The Logan Acres Community Foundation is a 501(c) (3) non- profit organization making donations tax deductible. To learn more about the Foundation, or to donate to a specific project, please contact the Logan Acres Campus Administrator at (937) 592-2901. Numerous volunteer opportunities are available on our campus. From calling bingo to reading a book or simply visiting with a resident there are numerous talents that you may have that would put a smile on one of our residents. If you would like to learn more about volunteer opportunities please feel free to contact us. Logan Acres Care Center has two aviaries and two aquariums within the facility that require monthly maintenance. In addition, we also have a facility dog called Blondie, who has formed a special bond with many of our residents. Monetary donations to the fund help us reduce the expense of providing these wonderful pets to our residents. If you would like to provide financial support to the animal care fund, please feel free to contact us. The primary purpose of the activities fund is to assist in the purchase of Christmas presents for our residents. We provide gifts to each of our residents who are here on Christmas Day, which provides a heartfelt moment for us and for them. 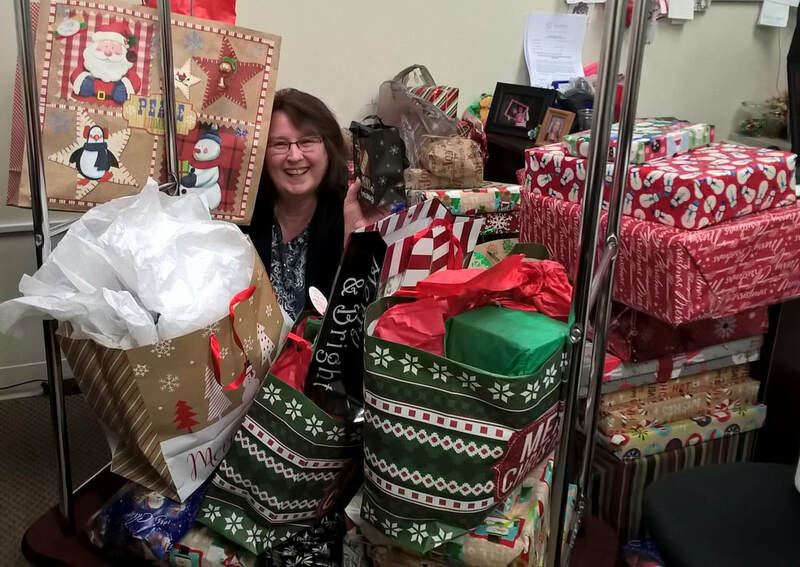 When we are at full capacity this means purchasing gifts for 95 residents, which is a lot of work in itself. If you would like to help make a Merry Christmas for our residents please feel free to contact us.